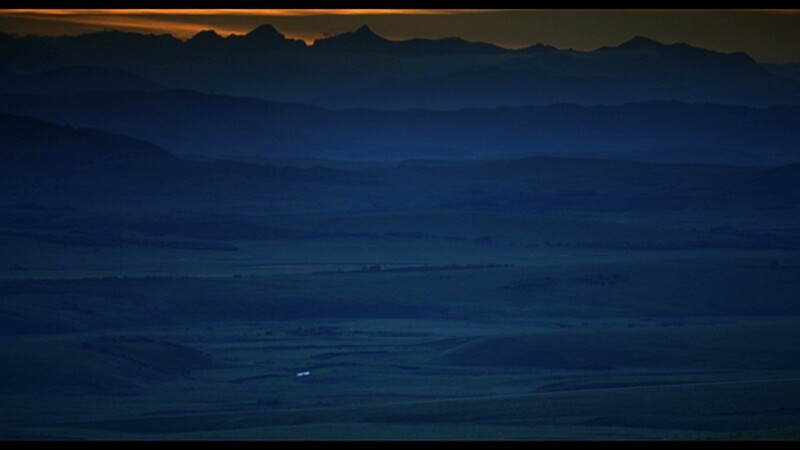 This award-winning film opens with a subtle transition from black to the opening shot of the landscape at dawn. 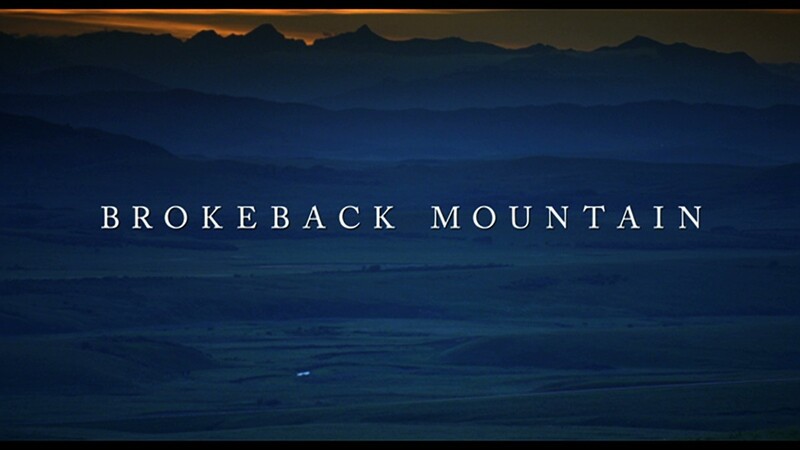 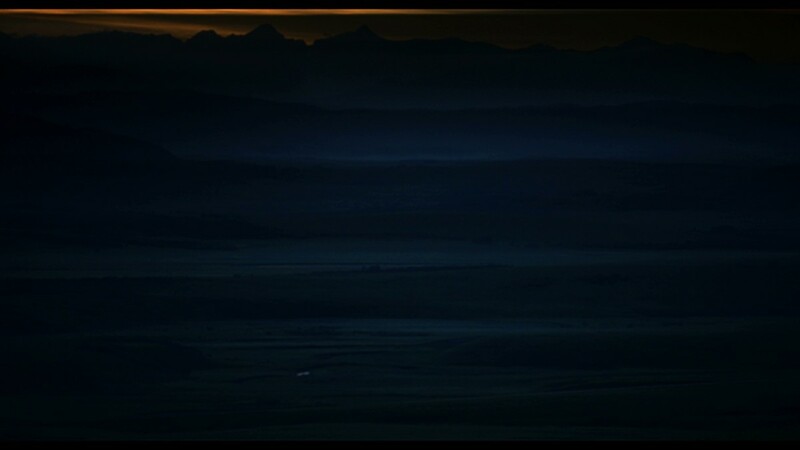 The title card quietly spans over the vast mountains. 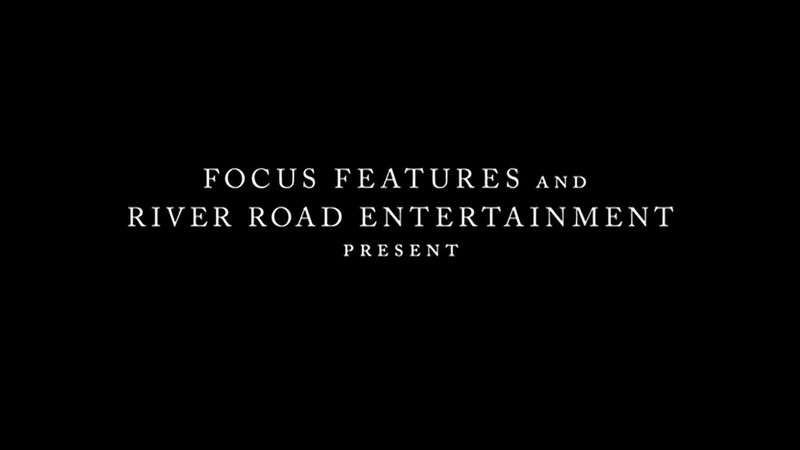 A truck drives through in the distance as the film begins.